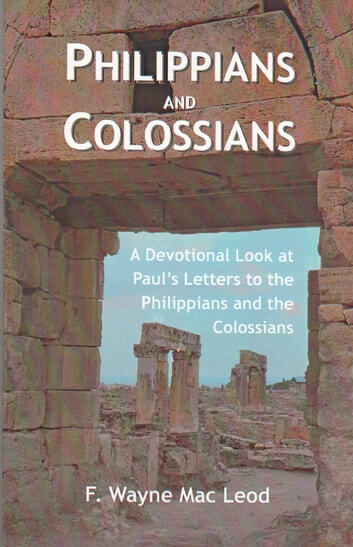 This is a devotional commentary on Paul's letters to the Philippians and the Colossians. Philippi was an important Roman centre in the province of Macedonia. In the days of Paul it was a military centre and many soldiers walked its streets. The church in Philippi stood firmly behind the apostle in his ministry and did what they could to support him. Their participation in the gospel meant much to Paul and his spends time in this book thanking them. During this time the apostle was in prison. The church was concerned about this. As a result Paul seeks to encourage them and teach them the importance of perseverance in the Christian walk. Colosse was also an important city in the day of Paul. It was a commercial city. A man by the name of Epaphras was one of the key leaders in the church in the city of Colosse. There are hints throughout the book the church in this city was struggling with a number of false teachings in their midst. Paul writes to warn the Colossians about getting sidetracked by these false teachers. He also gives some very practical instructions on how to live the Christian life. Each chapter of this commentary concludes with some questions to consider and some points for prayer to help the reader apply the teaching of each section to his or her own personal life.